To make healthy eating both easy and delicious, the NY Nutrition Group shares its favorite healthy under 30 minutes recipes. If you don’t have a lot of time to cook, these recipes are quick to get on the dinner table. New healthy recipes posted weekly on our website. Simple, quick, healthy & delicious side for your lunch, dinner party, BBQ. Have this beautiful salad ready in minutes. The saying “What grows together goes together” has never been truer than it is with Ratatouille, one of my favorite dishes. Is your diet leaving you scared of pizza? Fear no more! Try out RD Jennifer’s take on a dairy-free pizza for your next Italian night. 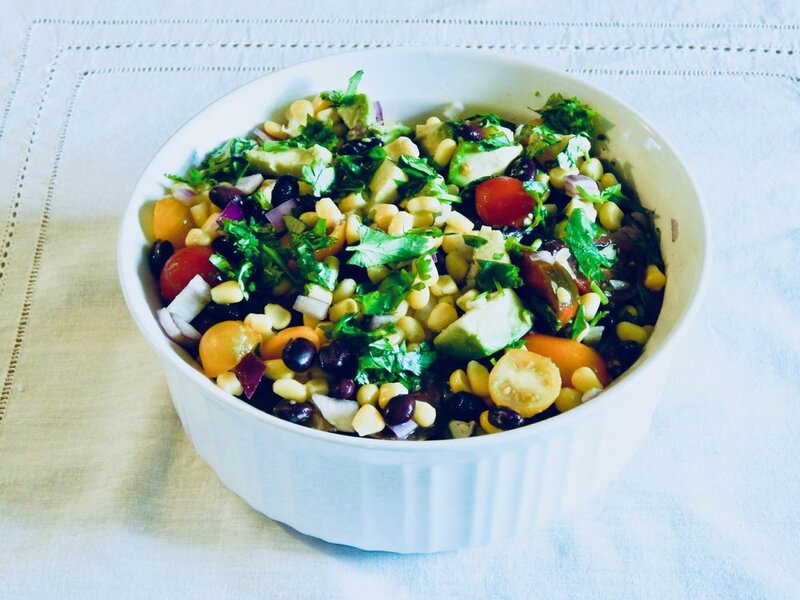 This Lightened Layered Salad is the perfect dish to bring to that summer BBQ you’re worried won’t have many healthy options. Summer is upon us, tis the season of barbecues, family gatherings and picnics! This super simple salad makes for the perfect party dish. With the rise of low-carb meal plans and gluten-free needs, pasta has long been exiled from healthy eating meal plans. This salad dish is so quick to put together, you can have a weeks worth of healthy lunches prepped in 10 minutes.